Fokker Techniek has secured the worlds first VIP completion contract for the Airbus ACJ319neo. The completion contract was announced at the 2018 Asian Business Aviation Conference & Exhibition awarded by German charter operator K5-Aviation to Fokker Techniek to design and outfit the ACJ319neo on behalf of its unnamed owner. The completion will focus on weight reduction with the latest IFE and communication technologies as part of its state-of-the-art cabin interior. Completion is proposed to begin in May 2019 at Fokker’s facility in Woensdrecht for redelivery in early 2020. “We are very honoured with this contract award and the fact that it will be the first Airbus ACJ319neo to be completed in the world and we have been selected to execute the project on behalf of K5-Aviation” says John Pritchard, CEO GKN Aerostructures and Systems Europe & Asia. The ACJ319neo will join K5’s fleet of managed, high-end aircraft, which includes three current-generation ACJ319s – two completed by Fokker in 2008 and 2016, and a third outfitted by Airbus in 2012 – and a pair of long-range Bombardier Global Express/XRS business jets. K5 Aviation also has an ultra-long-range Global 7000 on order, scheduled for delivery in 2019. 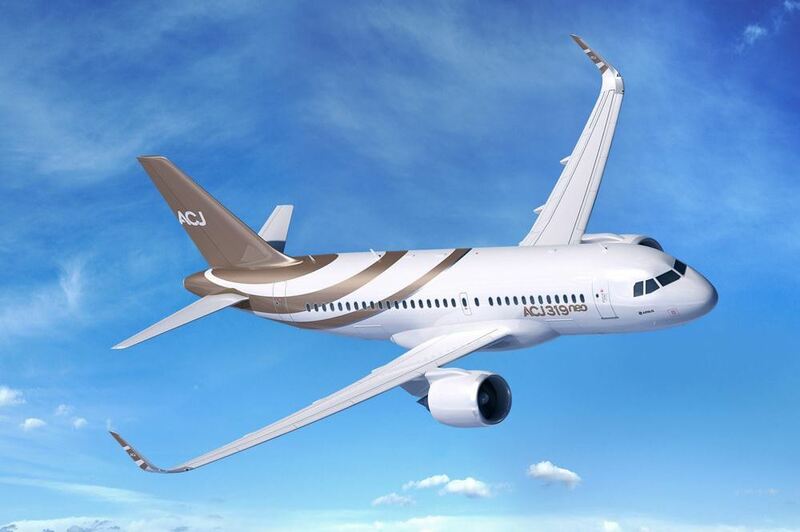 Airbus says it has sold nine ACJ320neo-family aircraft to date – three ACJ319s and six ACJ320s. The first example of the latter variant will be delivered to Swiss completion house AMAC Aerospace later this year, for redelivery to its UK owner, Acropolis Aviation, about 12 months later.